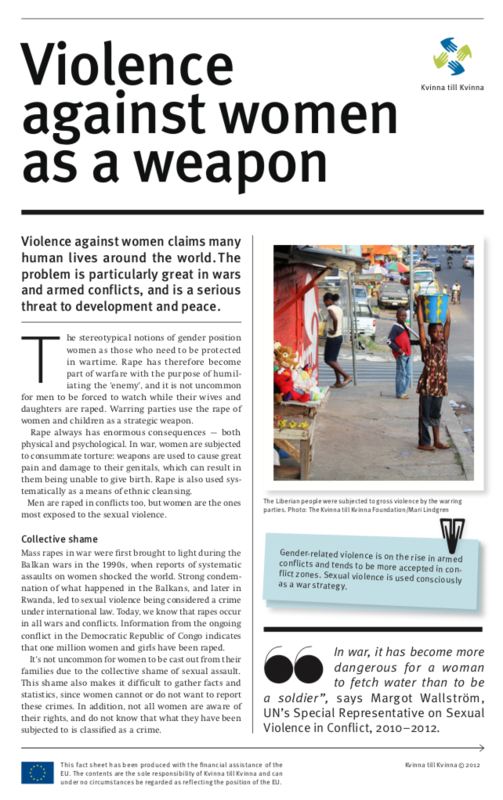 This fact sheet from 2012 discusses how violence against women is used as a weapon in certain contexts. Around the world, gender-based violence claims many lives each year. In areas affected by war and armed conflict, the problem is particularly grave – even constituting a serious threat to peace and development.